This weekend, the Halifax International Boat Show is back at Halifax Exhibition Centre with the largest display of boats and watercraft in Eastern Canada. Taking place February 8 through 11, the show welcomes 16 of the Maritimes’ top dealers, hundreds of models and exhibitors, and features to entertain the whole family. The Halifax International Boat show has been Atlantic Canada’s premiere boating show for over 40 years, and the 2018 edition will include boats of every shape and size. Show visitors will see runabouts, cruisers, motor yachts, pontoon boats, bass boats, inflatables, RIBS and personal water craft. The show also offers exhibits of marine equipment, marine engines, diesel, gas, outboard and inboard, of marine electronics and accessories, of docks and dock builders. Living the Dream: An Atlantic Crossing on a Tall Ship, a true story told by Henry Hoeksma. Friday at 6:30 pm and Saturday at 3:00 pm! Free hands-on workshops with Discover Boating (visit the show website for descriptions and the schedule). Aquatic adventures for the kids with Dory and Nemo. Meet and greet Saturday 12 to 3 and Sunday 1 to 3! A Nautical Mall in the Prospect Room – shop for nautical décor and hardware and enjoy free demonstrations and workshops. Enter at the show to win incredible prizes from Atlantica Oak Island and Q104 and Waterfront Development. 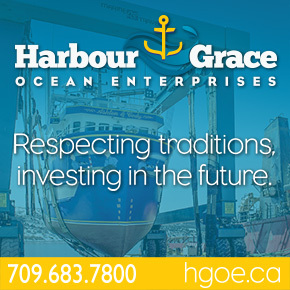 Visit the show’s website at www.HalifaxBoatShow.com for a full list of exhibitors, schedules, show specials, and more. No Replies to "Halifax International Boat Show Drops Anchor This Weekend"